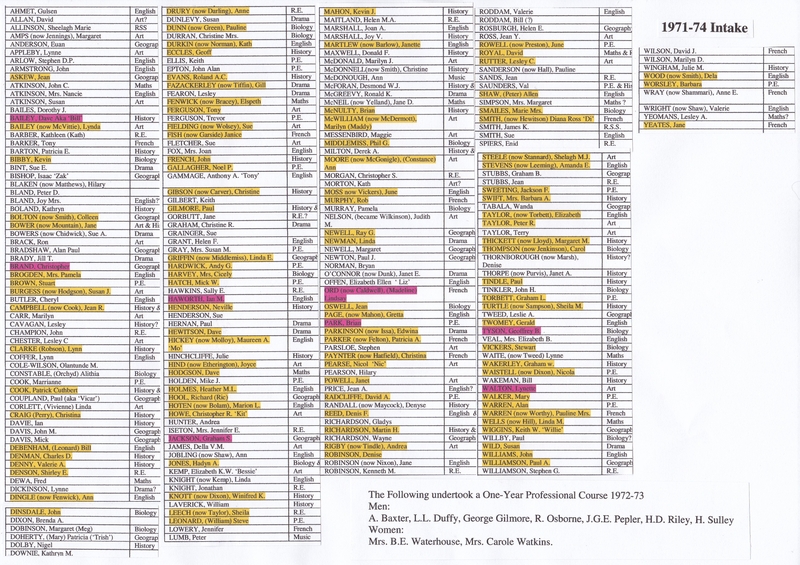 Please note that Brian Richardson, History, was at college from 1973-1977 and not from 1974 as listed. 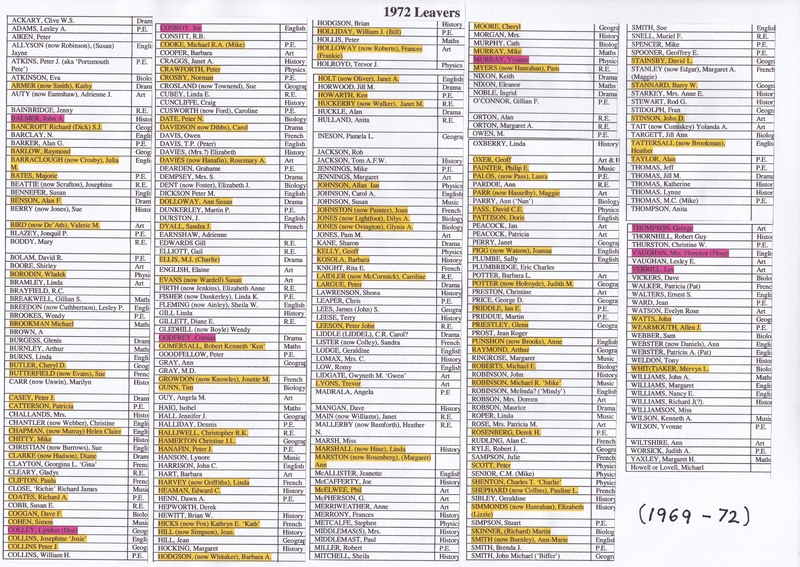 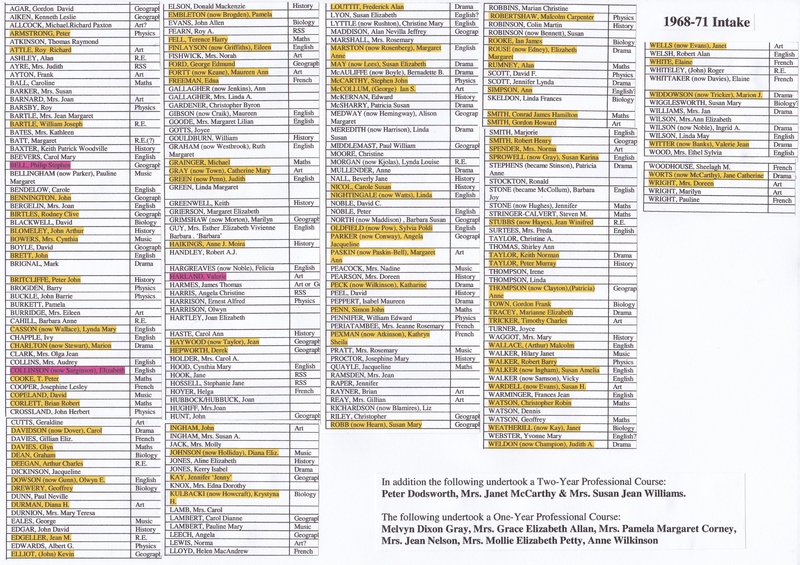 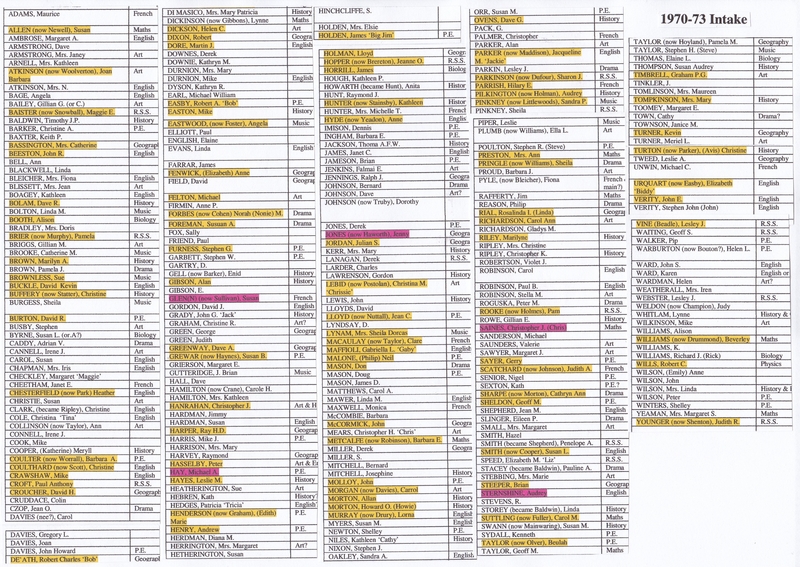 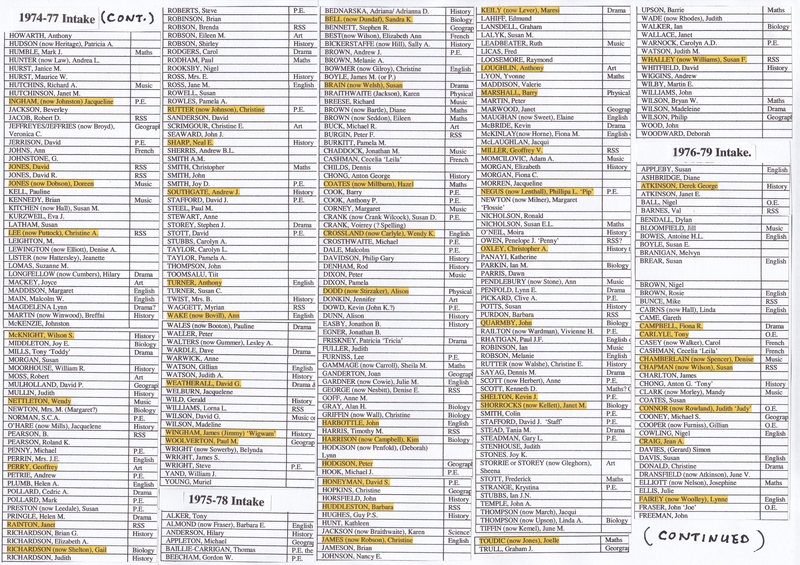 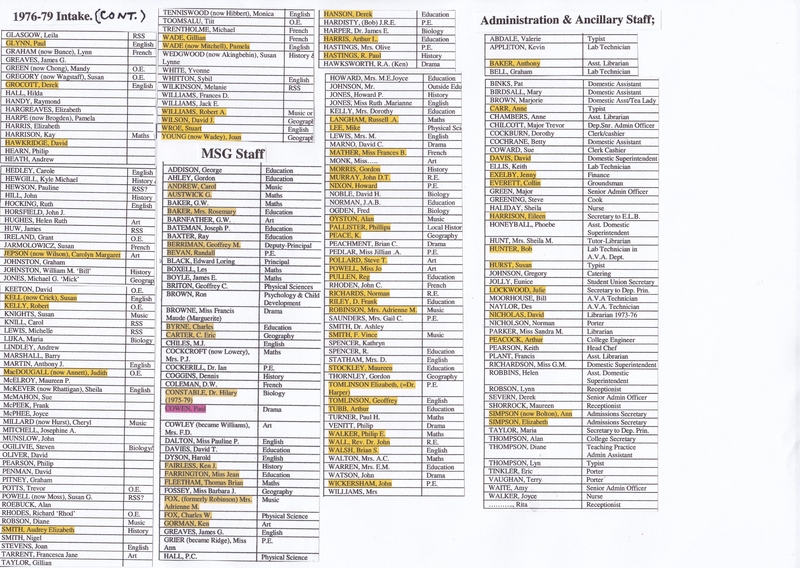 Above are the Student and Staff Year Intake Lists of the College, from 1968-1979. 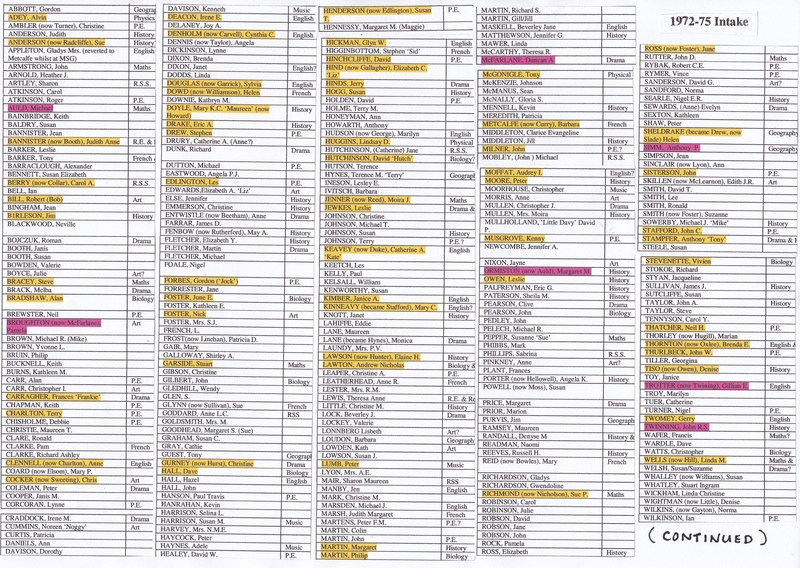 The names in yellow are for those whom we had contacts for in 2010 and hopefully now. 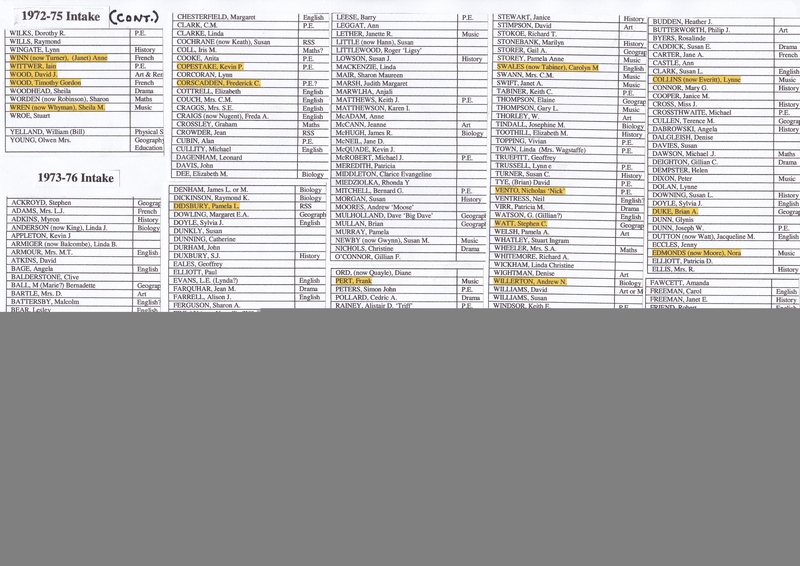 The names in red are for those who at the time were not interested in attending the Reunion of 2008.